Many of the emails I receive have been about making gluten free bread that is yeast free as well. The only gluten free yeast free bread I have ever seen was corn bread. Now, I love corn bread, but if I had to eat it every day because I couldn’t find anything else, well… that would get tiresome. Here is a savory muffin that would go well with many things. Soup, gluten free spaghetti and meatballs, chicken, turkey, ham or made into cute little tea sandwiches. *** I used Pamela’s glutenfree flour blend. This already had xanthan gum, salt and baking powder in it. To use this, don’t add xanthan gum, or salt and reduce the amount of baking powder to 1 1/2 tsp. Grease muffins wells. 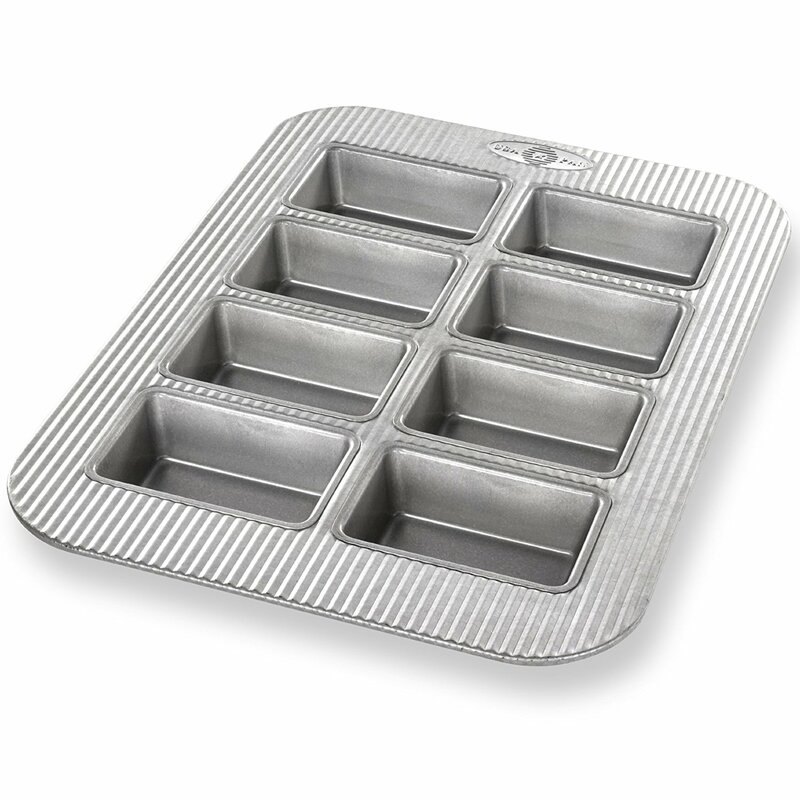 I used an 8 well rectangle muffin tin ( see it here!). Makes cute little loaves. Or line them with papers. Beat the cheese and the egg together with an electric mixer until creamed well. Add the milk and oil and mix together. Place the gluten free flour, baking powder, and xanthan gum and salt if using and whisk together. Pour into the cheese mixture and either beat with the mixer or stir together by hand. I want it done NOW, so I used the electric mixer. 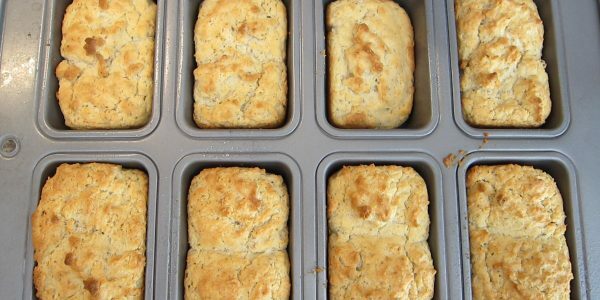 Scoop out the dough using a cookie scoop and divide among the muffin wells. Bake for 20 to 25 minutes (mine took 23). Poke with a toothpick and make sure it comes out clean then pull them out. Pop them out right away or stand them up on their edges to cool. If you leave them in the muffin tin to cool they will get soggy bottoms. Nobody wants soggy bottoms, not even muffins. 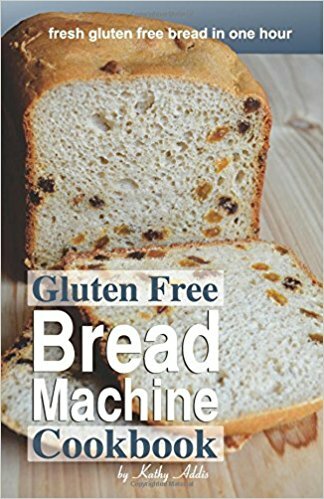 If you liked this recipe check out our cookbook: Gluten Free Yeast Free Breads. Filled with lots of sweet and savory breads that are easy to make. Click here to check it out. If you click on any of the links on this page or blog, I will receive a small stipend for it. Thanks for helping to support me and my recipe addiction.